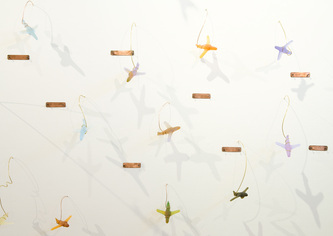 also installed in the Vancouver Museum for "Unity and Diversity" 2010. 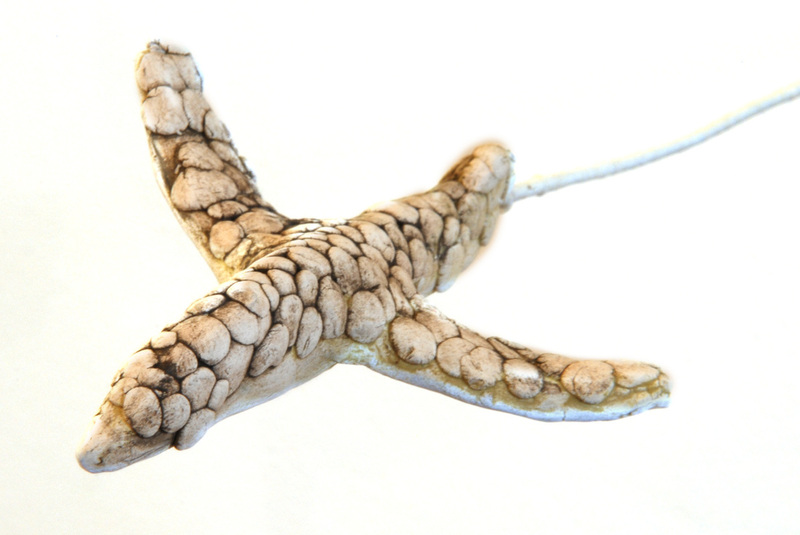 To move, migrate, immigrate, emigrate, leave…arrive. I immigrated to New Zealand from Canada in 2008, and the move was filled with unexpected shifts, emotions, and surprises. 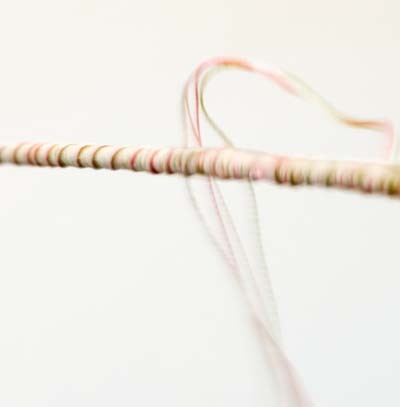 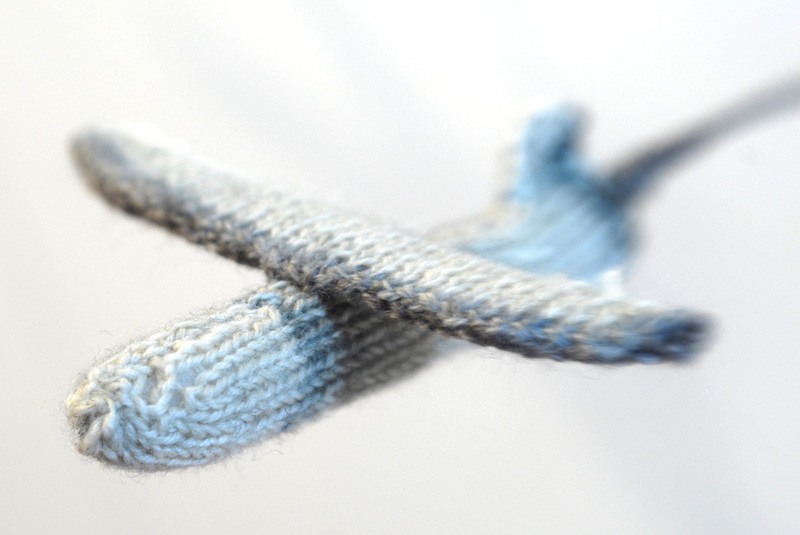 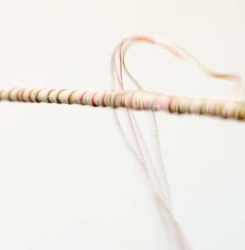 The installation work “Migrations” is a response to the mixed feelings of being in two places at once and the tugs of belonging, and not belonging to two different cultures. I use the airplane as a metaphor for travel and journey: they can either be departing or arriving, they carry immigrants. 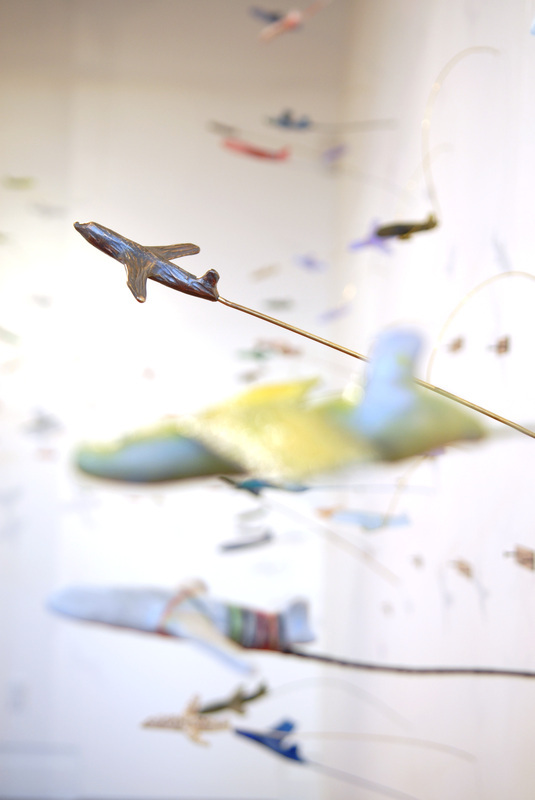 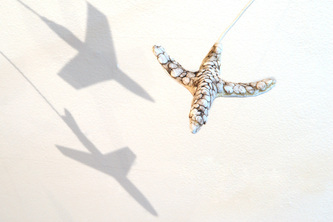 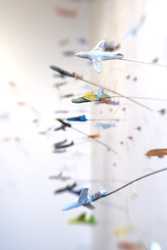 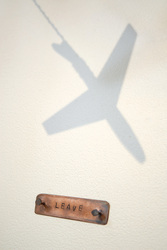 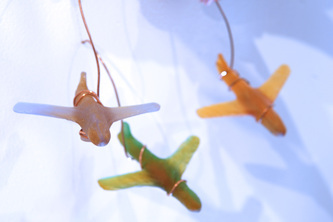 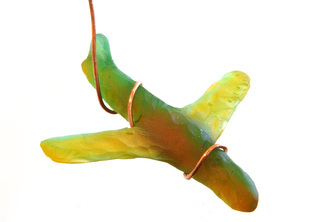 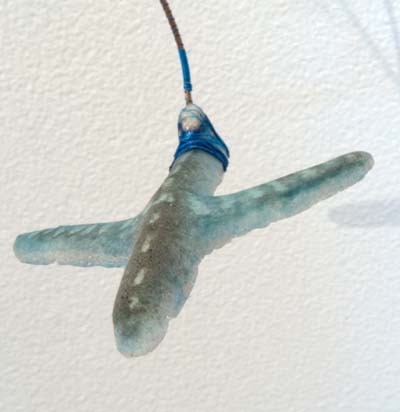 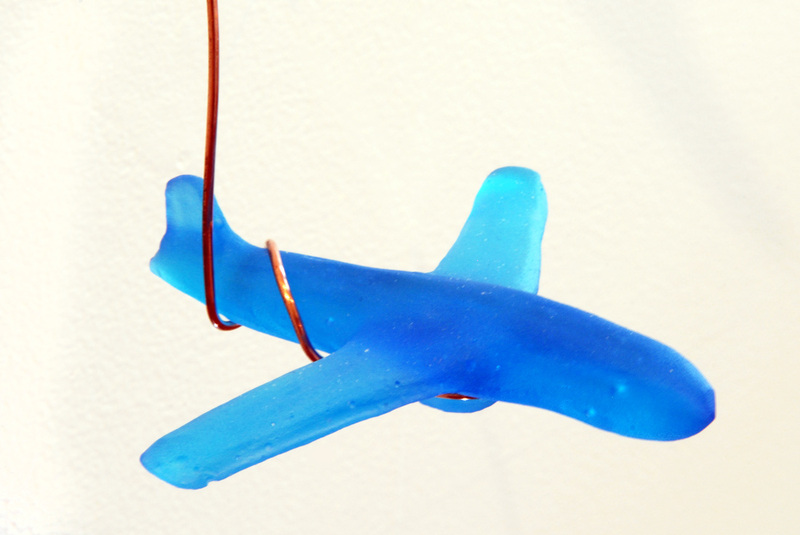 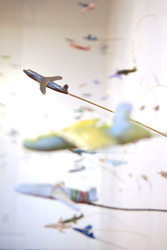 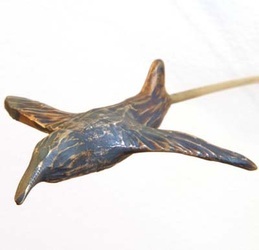 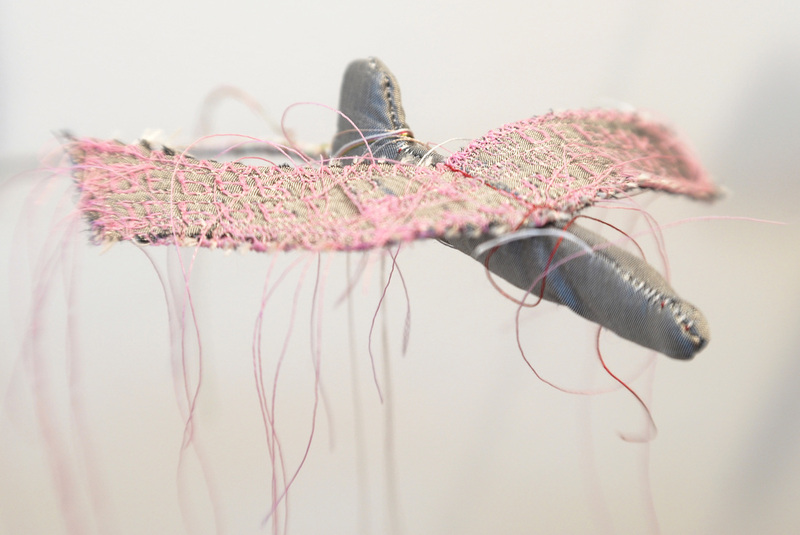 emigrants, visitors with their hopes, dreams, and fears… The planes are arranged around the gallery on the wall, and they are made out of materials such as cast glass, ceramics, bronze, fabric, wool, and wood. 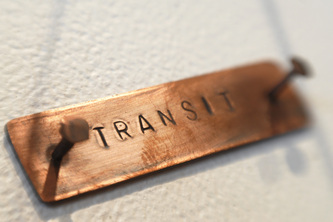 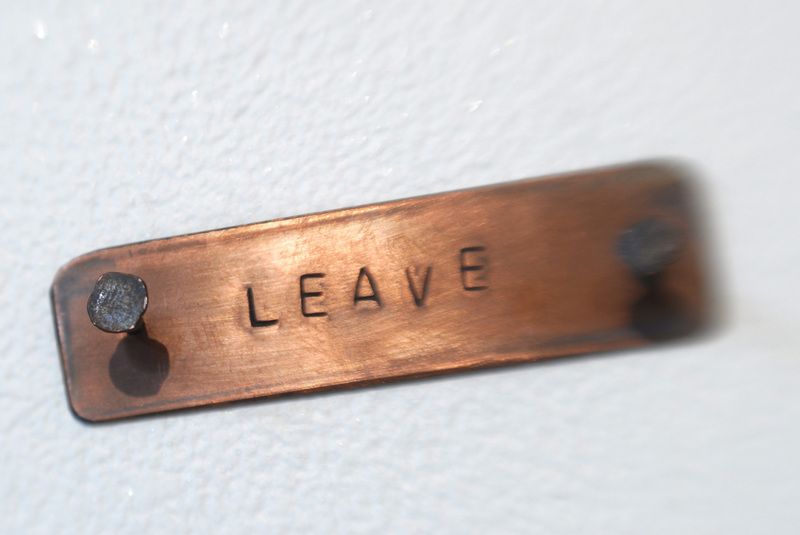 The planes are anchored to the wall with words pressed into copper tags- words that have been carefully kept in my journals, jotted down over the year it took to move, and offer the viewer a poetic walk around the gallery. 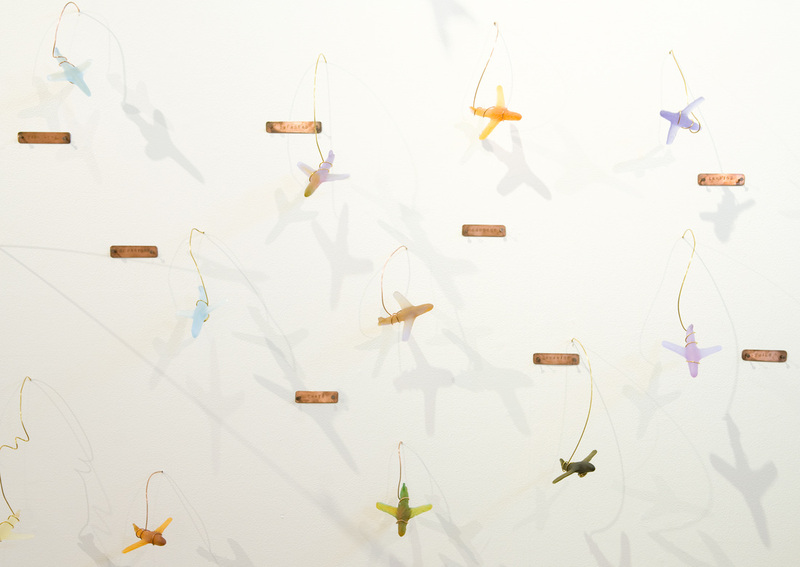 The viewers are surrounded by the planes, the words, the materials and the shadows they produce, and the installation provides an introspective view and dialogue about ‘moving’.